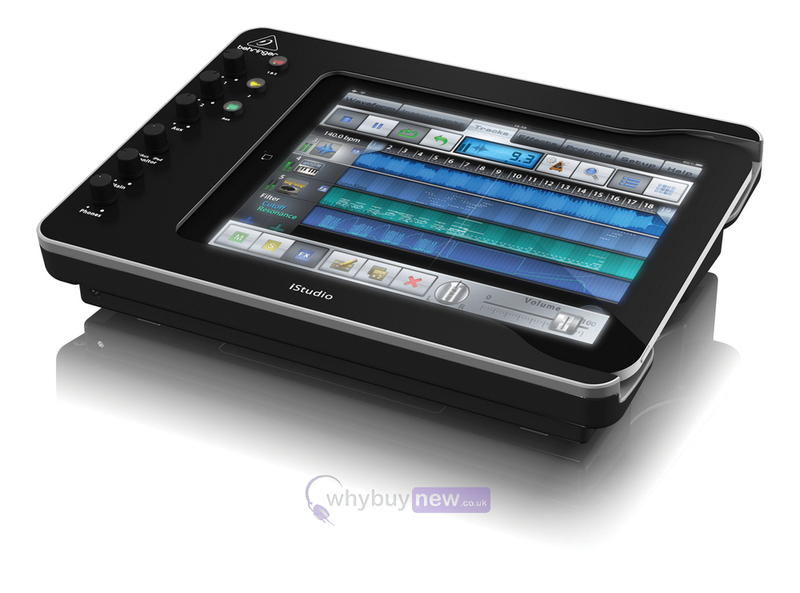 This handy, portable iStudio iS202 iPad docking station is perfect for when inspiration strikes on the go, with its ability to be powered by battery when you are away from a power supply, you can create and record music wherever you are. 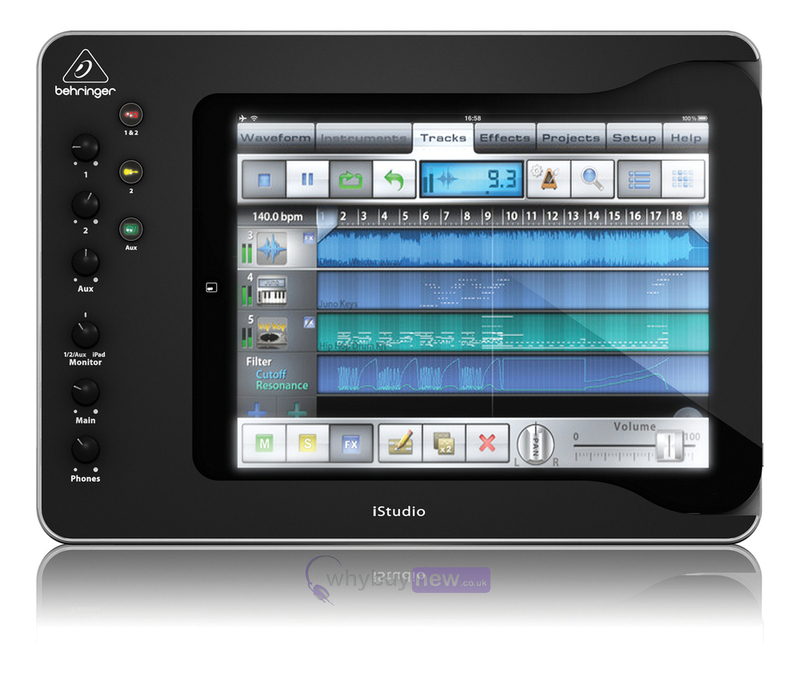 The iSTUDIO iS202 iPad Docking Station is the perfect music production tool for both home studio and live recording. So much more than just a convenient way to recharge your iPad, the iS202 lets you create, produce and perform music using your favorite audio gear and musical instruments. Connectivity is provided for your dynamic and phantom powered condenser mics; a Hi-Z instrument such as an electric guitar or bass; turntable; a wide range of line-level devices (mixers, CD and mp3 players, etc.) - and your MIDI gear. You can also connect an external video monitor or projector, and monitor your project using headphones or a set of high-quality active loudspeakers. Always at the ready, the iS202 makes it easy to unleash your creative spirit by providing access to your iPad's powerful internal processor, touch-screen interface and the vast array of available apps. A convenient onboard MIDI USB interface allows the transfer of MIDI data to and from your iPad for even more creative possibilities. 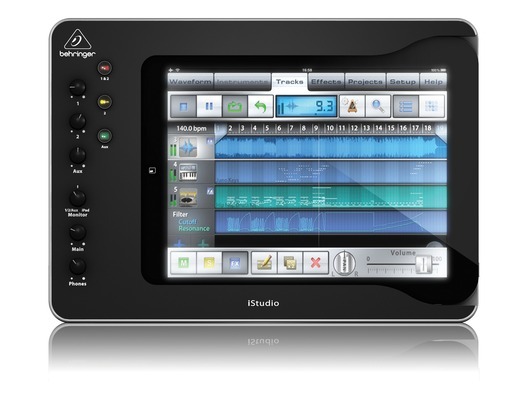 The iSTUDIO iS202 bridges the gap between your instruments and professional audio devices, for a dynamically creative environment that will continue to grow as even more apps become available. The road-ready iS202 is the ideal way to capture your inspiration on the tour bus, at the park - or by the campfire. The built-in battery compartment holds eight 1.5-Volt "AA" batteries (not included), so you can power the iSTUDIO even when you're off -the-grid. Now you can record, perform, or craft and create music in virtually any situation or location. The iS202 features two combination XLR - ¼ " inputs, each with its own Gain control and switchable phantom power for use with condenser microphones. These inputs will accept analog signals from virtually any piece of audio gear including amps, mixers and external preamps. A guitar or electric bass can be connected directly to the iSTUDIO without the need for a DI box thanks to the built-in Hi-Z switch, which also allows you to perform and record straight into your amplifier and FX modeling apps. We've also included a stereo Aux Input, so you can connect a wide range of line-level sources, even a turntable - perfect for DJs, or for archiving your precious vinyl collection.